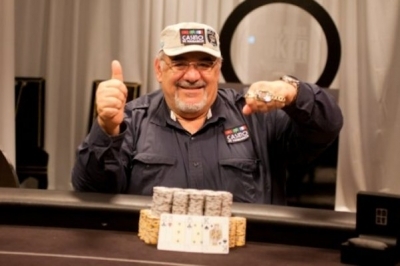 Poker enthusiasts have discovered the concept imagined by Roger Hairabedian with the beginning of the first season of Marvellous Poker Tour (MPT). As agreed, Morocco inaugurated last weekend the MPT circuit in the Casino La Mamounia in Marrakesh. The event was supposed to attract many players because of the new concept introduced by "Big Roger" in a poker tournament, that is to say a special gain scale of 30% of the participants, but it appears that the result was not reached because the Main Event with the buy-in of  1,079 had only 97 registered. This number is far from the 300 participants of the Marrakesh Poker Open, but it is important to specify that the MPT is only at its first edition, but better communication and above all online qualification availability should boost the other stages. The next stage of the Marvellous Poker Tour will take place in Spain and the circuit will continue with the stopovers in Cyprus and Madagascar before coming back to Marrakesh for the grand final of  1,000 in May, 2015. However, the Marvellous Poker Tour of Marrakesh had been interesting according to participants because in addition to the challenge, 30 players were paid on the 97 at the starting of the Main Event. This poker event was won by Olivier Averso for Dhs 200,000 of gain after a final heads-up with Gérard Cohen (Dhs 145,000). In the other side, the top 10 is composed by Jean-Claude Perrot (Dhs 100,000), Antonia Alomar (Dhs 75,000), Rabah Ait Abdelmalek (Dhs 60,000), Stéphane Noel (Dhs 50,000), Hakim Muhammad (Dhs 35,000), Stéphane B (Dhs 30,000), Daniel El Keslassy (Dhs 25,000) and Armand Hairabedian (Dhs 22,000).